I get such a rush when a genealogy book arrives in the mail. My eyes brighten and my heart beats faster. I think to myself, "There's stuff I might learn about my ancestors in there!" I just might get a better understanding of what their lives were like. 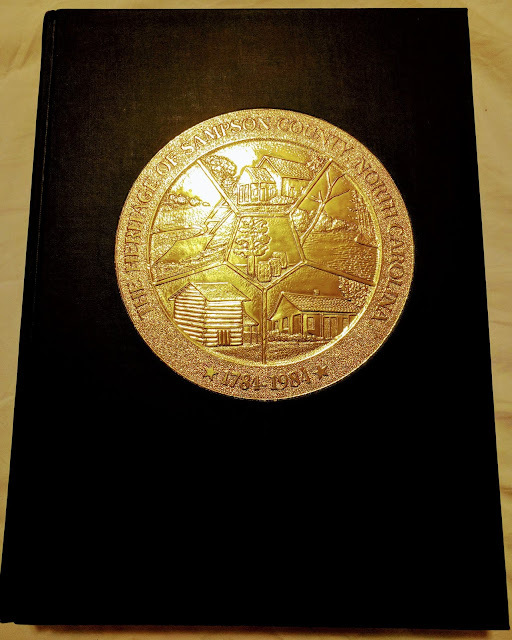 Here's the latest edition to my genealogy library, The Heritage of Sampson County, North Carolina. Editor: Oscar M Bizzell, Sampson County Historical Society. Specifically, I am looking for more information regarding the family line of a Patrick Murphy of Sampson County. 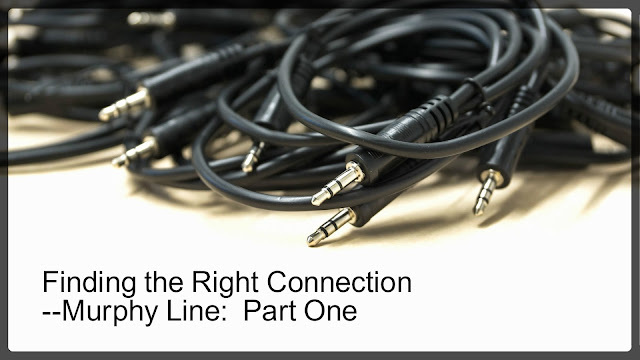 In my post, Finding The Right Connection --Murphy Line: Part One, I shared that I have a DNA cousin who I believe our probable common ancestor is Patrick Murphy born about 1720 in Scotland who eventually settled in an area that eventually became part of Sampson County, NC. 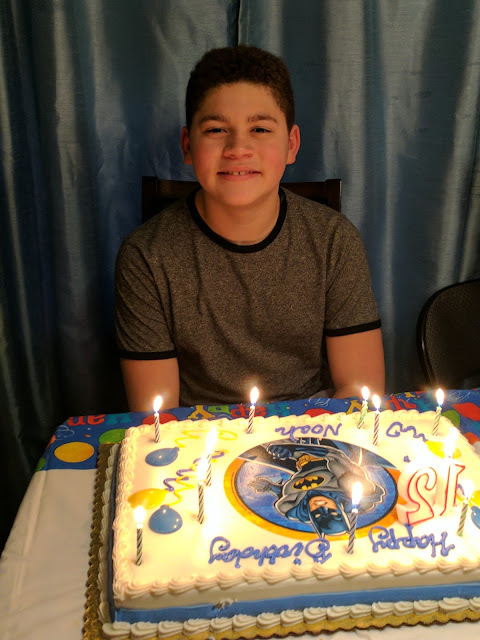 Happy Birthday To This Sweet Young Man! I have to start somewhere with this Murphy line, so here goes nothing. I wrote about wanting to break through the brick wall of figuring out who the parents of my 2nd great grandmother Tina Jane Murphy Kerr were in my post Dear Genea Santa, What I'd Like Most For Christmas.... I have a couple of Murphy DNA cousins among my matches list on Ancestry.com, one in particular looks really interesting and has my crazy genealogy brain all jazzed up. I began by looking at the 1880 census to see what white Murphy families resided near my 2nd great grandmother in Franklin Township, Sampson County, NC. If my 2nd great grandmother's chosen surname was Murphy then there's the strong possibility that name was taken from the family who owned her prior to emancipation.